Thirst is the body’s way of signaling that it needs fluids. Sometimes it is heightened when the fluid content in the body is too low and there is no fluid intake. The intensity of the the thirst is somewhat proportional to the low level of fluid in content in the body. In other words, the less fluid there is in the body the more intense the thirst sensation. However, there are times where the fluid content in the body is well within a normal range yet thirst persists. Even fluid intake will not allay the intense thirst sensation. This is known as polydipsia. It is not uncommon for us to feel very thirsty at times and sometimes this may be considered to be excessive. However, even if there is excessive thirst it does not necessarily mean this is abnormal. Excessive thirst may occur after strenuous physical activity, in very hot weather, when eating large amounts of dry and salty foods and so on. The fluids that are consumed are usually to replace the fluids that have been lost through urine and perspiration or to moisturize a dry mouth. If there is too much of fluid in the body then there will be increased urination to balance out the fluid content in the body. Overall this excessive thirst is short lived. However, there are instances where excessive thirst may be considered abnormal. It is often difficult to different excessive thirst that can be considered normal from excessive thirst that is abnormal. 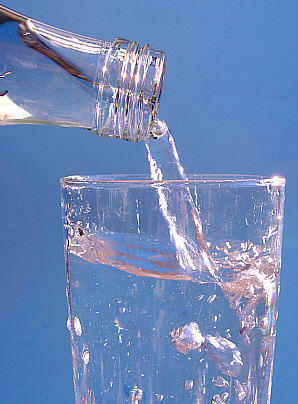 As a general rule, excessive thirst that is continuing for days, weeks or longer should be considered as abnormal. The increased fluid intake has consequences. It is either passed out leading to frequent urination or it is retained leading to fluid retention and swelling. Whatever the outcome, the cause of increased thirst needs to be investigated as it can be a symptom of some disease. Sometimes an increased thirst may actually be a dry mouth. The fluid is desired in order to moisturize the dry mouth and not to allay the thirst sensation. There are many reasons why abnormal increased thirst may occur. Increased thirst on its own can be a vague symptoms and the cause is difficult to isolate. Other symptoms along with the increased thirst may provide a better indication of the cause. However, many of the symptoms of these diseases may overlap so it is difficult to identify the exact cause without diagnostic investigations. 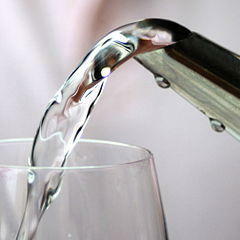 The two main hormonal disorders that can lead to increase thirst are seen in diabetes mellitus and diabetes insipidus. Diabetes mellitus, also known as sugar diabetes, is where the hormone insulin is either deficient (type I diabetes) or the body does not respond to insulin (type II diabetes). Insulin helps lower the blood glucose levels. As a result of the disturbance, the blood glucose levels are elevated. Diabetes mellitus is one of the most common chronic disorders seen in developed nations and in time it can lead to damage to the eyes, kidneys, nerves and blood vessels. Diabetes insipidus is a separate condition from diabetes mellitus. It arises when there is a disturbance with the hormone ADH (antidiuretic hormone) that usually stimulates the kidneys to conserve water. When there is a lack of ADH (central diabetes insipidus) or when the kidneys do not respond to ADH (nephrogenic diabetes insipidus) then there is profuse water loss through the urine. Increased thirst is also a way that the body sources fluids when there has been blood or fluid loss. Blood loss primarily occurs through a break in a blood vessel leading to bleeding into the environment. However, bleeding can also be internal into the body spaces or even through other secretions like mucus from the nose, bloody stool or blood in the urine. Usually there has to be significant loss for it to trigger excessive thirst. Fluid loss can also occur without bleeding. In fact in dehydration, there is large loss of fluid through urine, perspiration, vomiting and diarrhea. The fluid loss can occur very rapidly, sometimes within an hour and become life-threatening if the fluid is not promptly replenished. Increased thirst is common but water alone may not be sufficient to rehydrate a person and thereby quench the thirst. Usually there is electrolyte (salt) loss with the fluid loss and it has to be replenished with an oral rehydrating solution (ORS) or an intravenous (IV) drip. Apart from pharmaceutical drugs, a number of other substances can also contribute to increased thirst. Alcohol and caffeinated products like coffee are diuretics that lead to water loss. As a result there may be increased thirst as the body attempts to replenish lost fluids. Some illicit drugs can also have a similar by triggering excessive perspiration, causing mouth dryness or disrupting the thirst centers in the brain. Sometimes there may be no physiologic abnormality yet increased thirst is prominent and ongoing. This may be a mental abnormality known as psychogenic polydipsia. In these cases the increased thirst is only perceived or the desire to drink water is excessive. The body has mechanisms to expel the excess fluid but it is not infallible. Psychogenic polydipsia is usually not serious but the massive intake of fluid can cause a host of disturbances in the body.